Online Music Store How To Make Money Uploading Remixes? Not long ago, uploading a track was limited to very few sites. Today, you can mix songs and upload them for a few dollars. However, you need to keep it in mind that you don’t have the right and no matter how much you re-edit or remix the songs, selling rights are limited. However, Mixcloud happens to be one of the places you can put your music out there but to earn; you might require Beatport mixes which allow you to upload your remixes and start selling. This platform gives DJs a place to legally sell and share their remix with their fans without worrying about copyright infringement. More sites like Soundcloud, Mixcrate, and MixDJ among others also offer similar services. For Soundcloud, selling might be a little tricky if you are hell bent on selling directly but the rest are friendly. If that doesn’t work, release your mixes for free and make money. This might be confusing, but it is pretty simple. People like free things and the more they listen to your music, the more your brand picks up, and within no time, you will have your creation on adverts, movies/films, and most of all, you will have contracts flying your way. It doesn’t happen overnight, but it’s not a fairy tale either. It, however, depends on how much you are invested in your music collection. Thinking outside the box will bring you more money than you can imagine especially, if you know your way around websites. Uploading a remix is easier but earning even a penny out of it will require wits. Create a blog or a website and share your experience with the world and while at it, link the readers to your collection and form an engaging platform with them. Also, advertise on the blog/website by displaying ads with gears most DJs aspire for or any other ad you deem fit for your site. There are people out there willing to pay any amount to learn how to DJ. You have the skills, monetize on them. You can simply deliver through text or video. 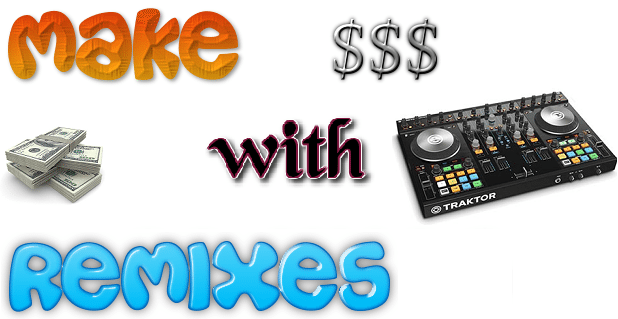 There is no better teacher for remixes than the DJ himself, and that is an opportunity to earn extra money. With your website up and running, take your camera and talk your students through the process. Remember that there is a software for mixing tracks, but the real deal is not in the mixing; it’s the flow of tracks. The skills required to make an outstanding remix are learned, and that’s not all, you have to set a rhythm; something to make you stand out. The music industry calls that a signature where you are recognized instantly especially the moment your remix hit. Use your social media site to sell your brand by telling people you are available. It might not be directly related to earning through remix uploads but using your uploads; you can invite people to listen to your collection live at a local joint. Before that, talk to the owner of the club about it. While at it, sell branded merchandise like t-shirts, headphones, sunglasses, and hats among other things but you will have to split with the club owner if you want another shot. This way, you will have uploaded one or two remixes for free and sent out invites. Chances of earning a lot are very high through this process. Don’t limit yourself to traditional ways of getting gigs. Technology is here for a reason, and the internet has proven to be the fastest way to get the word out there and make money fast. Having that in mind, it is up to you to find the safest way to earn a few bucks online, and one of them is through uploading remixes for free. From there, your brand will grow on their own, and no artist will blame you for illegally selling their track. It will take time, but patient pays. However, to earn directly, you will have to pay to enjoy the rights of uploading and make money. As long as you have an agreement with the owner, no one can stop you. Indirectly, you will have to be very convincing. Show people what they will be missing and most importantly, allow them to engage with you and each other. On Facebook or Twitter, embrace both the positive and negative review. Critics will always be there to bring you down but control your attitude. Making money online is the new trend globally and uploading remixes is no exception. Just like the rest, you need to build traffic and gain an audience. Keep them entertained, and you will have them begging for more. 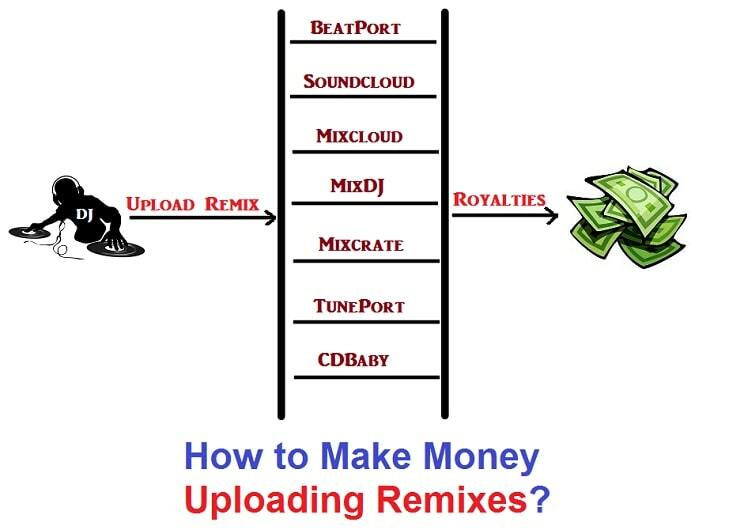 Monetize your skills online and capitalize on free upload remixes.